What Exactly Is A Toothy Wrapper? One that's bumpy—and intentionally so. Certain types of wrapper tobacco naturally develop pockets of oil that look like little bumps on their leaves. These pockets, called "tooth," are most frequently found on Cameroon-seed wrapper grown in Cameroon and the Central African Republic. Some Indonesian wrappers also have tooth. 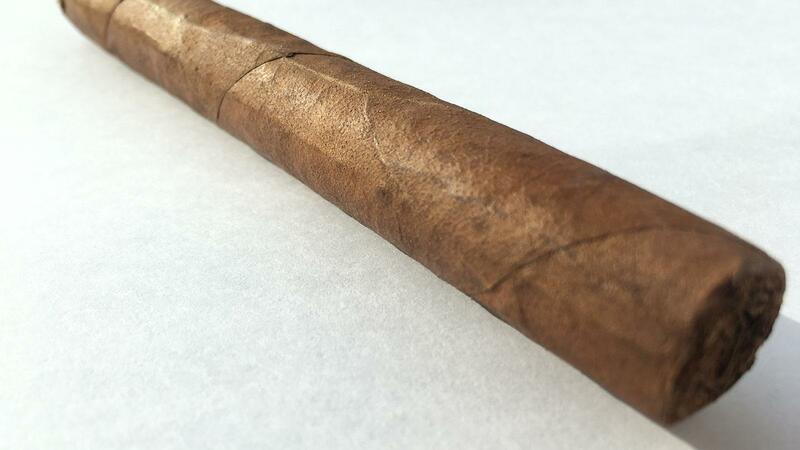 When a cigar reviewer examines a cigar and sees a noticeable amount of the bumps, he or she would describe it as toothy. The tooth is a key source of flavor, and is a desireable feature. When a toothy wrapper burns, the bumps of tooth become the little white dots embedded in a cigar's ash. While Cameroon is the world's toothiest wrapper, other tobaccos may yield the white dots, even when there is no visible tooth on the surface of the wrapper.